1. After you down the SQL Server 2008 express double click on the setup file. 2. It will extract itself. Let it do that. 4. 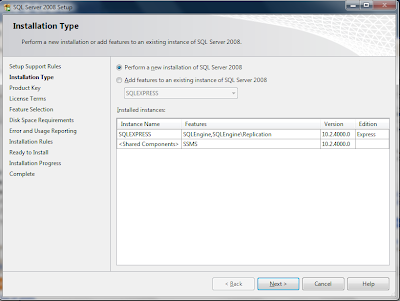 In this window click on install and then click on "New SQL Server stand-alone installation or add features to an existing installation"
5. As you click that option the setup will start. 6. Click OK. then Install. 8. Now you have a window like this. 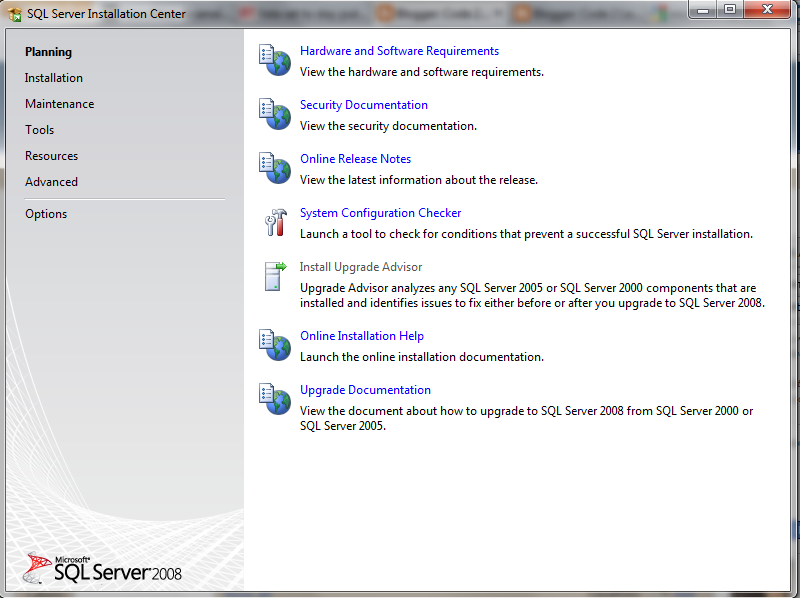 Click on " Perform a new installation of SQL Server 2008". Click next9. Click Next. Then in the Feature Selection window SELECT ALL and click next. 10. 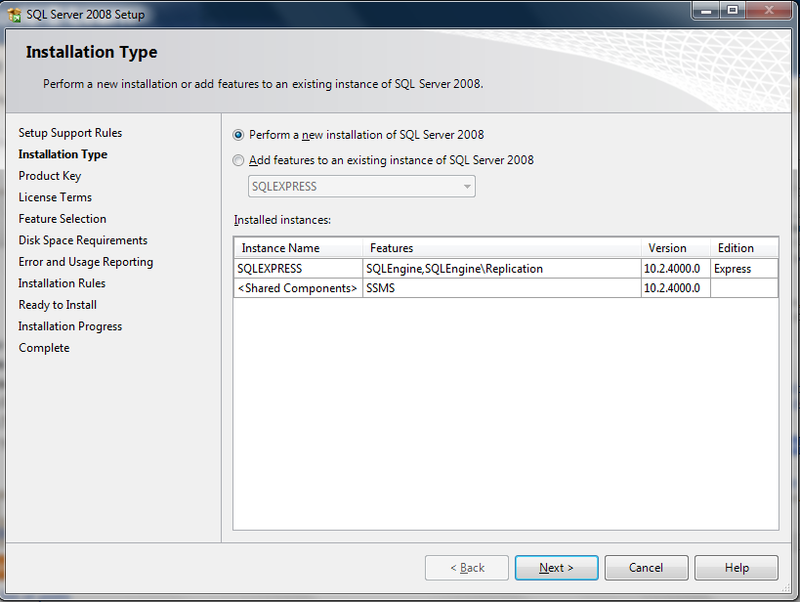 Now in the Instance Configuration window click on Named Instance and fill "SQLEXPRESS" or anyname of your choice and then click next. 11. Keep on clicking next till the installation completes. After the installation completes it will give you a windows saying "Installation Completed Successfully". 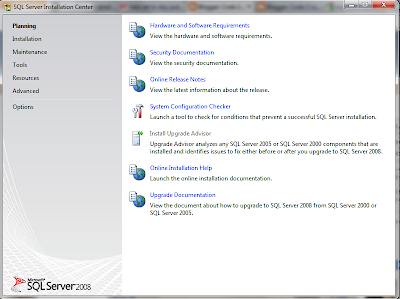 NOW SQL Server 2008 Express is installed. Now double click on Management Studio Express setup file. Follow the same steps as above ie till 9. and install all the features.